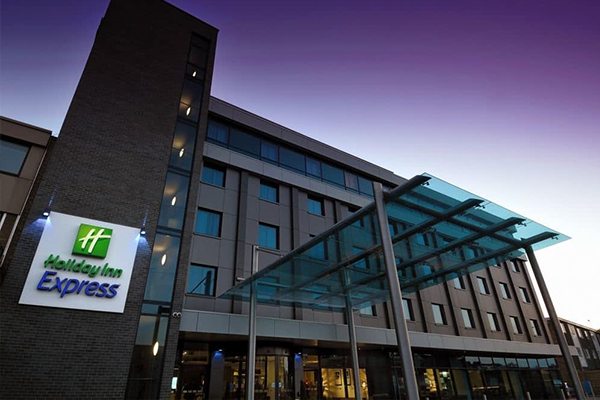 Make the most of Holiday Inn Express London-Heathrow T5 hotel's handy location, just off the M4 with easy access to London Heathrow Airport. Step from under a striking blue glass canopy into the contemporary open-plan lobby of Holiday Inn Express London-Heathrow T5. Natural light floods our stylish Great Room where you can linger over your included breakfast and warming evening meals. Settle down to work in your sleek guest room and use wireless Internet to surf the web. We're a speedy 20-minute bus ride from London Heathrow Airport and 20 minutes from Slough centre, where trains run direct to London Paddington rail station. Holiday Inn Express London-Heathrow T5 is well-placed for major businesses like Honda and BAA Headquarters. Slough Trading Estate's numerous companies are 6 miles away. 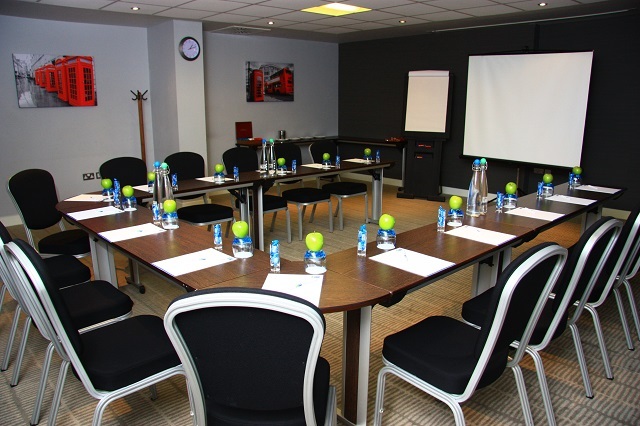 Host gatherings in our light-filled meeting room and leave your vehicle in our ample car park. Enjoy lively family days out at nearby LEGOLAND Windsor and brave the rollercoasters at Thorpe Park, 10 miles from the hotel. Majestic Windsor Castle with its lavish state apartments is 5 miles away. Our chic, turquoise-accented Lobby Bar offers space to socialise over Costa Coffee or glasses of wine. We're a 100% non-smoking hotel and there's a kids' play area with books, puzzles and a PlayStation. 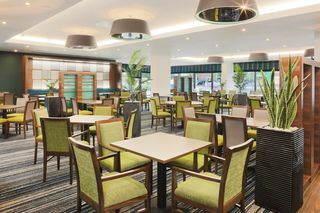 Ask Holiday Inn Express London-Heathrow T5's friendly staff for sightseeing and travel tips. Contact Holiday Inn Express Heathrow Terminal 5 directly or use our simple contact form.